The Ministry of Health, Seniors and Environment recently hosted Breastfeeding Counselling Training, which was facilitated by Dr. Audrey Morris, Food and Nutrition Advisor, Pan American Health Organization [PAHO/WHO] and Mrs. Christine Bocage, Senior Technical Officer, Food Security and Nutrition, Caribbean Public Health Agency [CARPHA]. The training took place from Monday 11 April to Friday 15 April, 2016 with thirteen persons, including health visitors, nutritionists, dietitians and members of the King Edward VII Memorial Hospital [KEMH] maternal/child team being trained as trainers, using the WHO/UNICEF 40-hour Breastfeeding Counselling Course. This training is a prerequisite for accreditation of the hospital as baby friendly under the WHO/UNICEF Baby Friendly Hospital Initiative [BFHI]. The trainers are expected to introduce training for other staff at the KEMH and also at health centres throughout the island. “This BFHI is an initiative for the protection, promotion and support of breastfeeding,” said Mrs. Bocage. 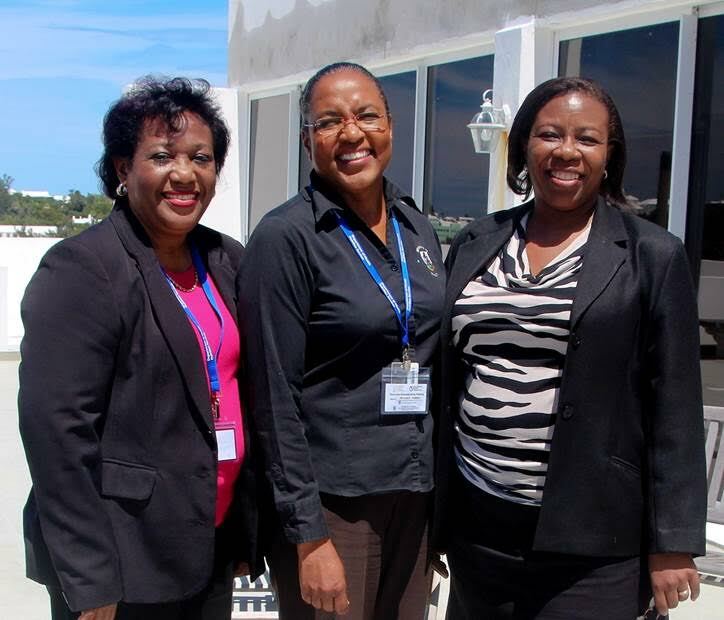 Mrs. Christine Bocage, Melanie Furbert [Public Health Nutritionist for the Bermuda Government], Dr. Audrey Morris. The BFHI also assesses a hospital’s compliance with the International Code of Marketing of Breast-milk Substitutes. The indiscriminate marketing of breastmilk substitutes such as infant formula can severely undermine breastfeeding of infants in Bermuda. The BFHI is guided by the Global Strategy for Infant and Young Child Feeding. “This was a great opportunity for Bermuda,” said the Minister of Health, Seniors and Environment, Mrs. Jeanne Atherden. “The main goal of these efforts is to support women in being able to breastfeed exclusively for six months as recommended by WHO. 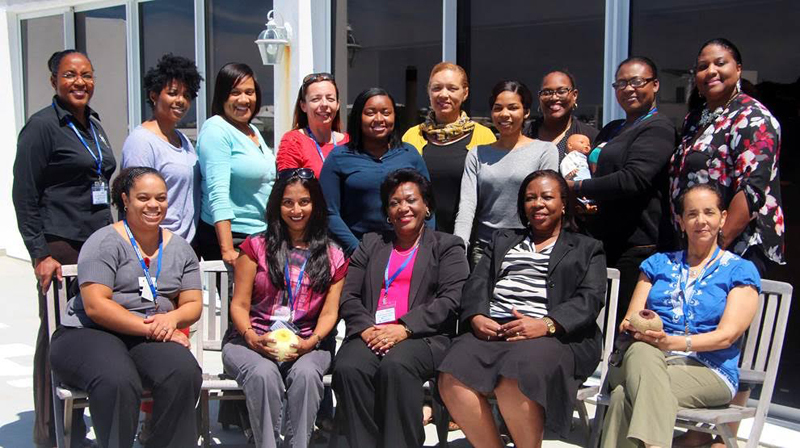 Increasing breastfeeding rates is also an activity under the Healthy Weights Initiative which is an objective in the Governments Well Bermuda Strategy, and which is spearheaded by the Ministry of Health, Seniors and Environment.